Is Instagram Marketing Valuable for Brands? Here at Pagezii, we love reading blogs. Just like you. And each and every month our fellow marketers share their knowledge through great writing to satisfy our needs. And to point you in the right direction for May, we’ve curated must-read posts. These posts focus on professional development, marketing, and content creation. Make sure top give them a read and bookmark your favorites. Let’s dive in. Is your company building employee knowledge? Then don’t get sucked into the misinformation vortex. 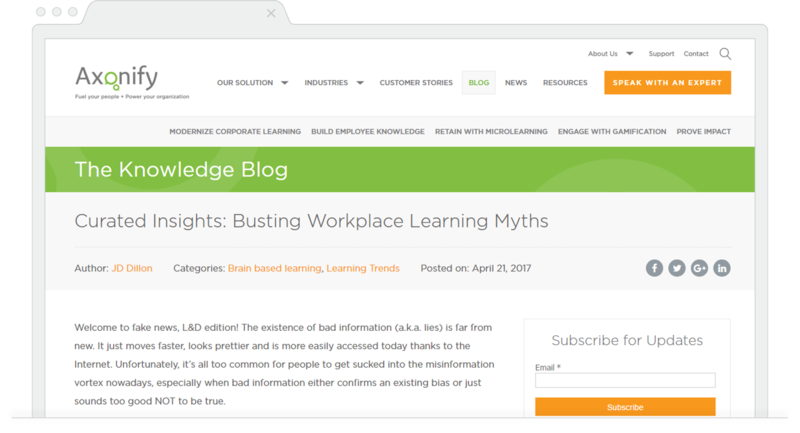 In this post, JD Dillon explores various learning and development myths for companies to avoid. If you’re a large company or in the process of building your business, this post is a great read. JD does a great job of debunking common myths through awesome writing. Make sure to check his post out and follow him for more L&D insights. Changes in SEO industry come fast. Which means you need to keep your tools sharp. And Guy from the Over the Top SEO blog touches on a topic to keep in mind for 2017. In his post, he discusses the rise of voice search SEO. It tells you what voice search optimizing looks like in practice and to prepare for the trend. For any marketers looking to stay ahead of SEO, voice search is definitely something to keep in mind. And Guy’s posts is the perfect place to start. Make sure to bookmark his content and follow him for more insights. If you’re into social media marketing, you know about Instagram. It’s quickly become one of the most used platforms. 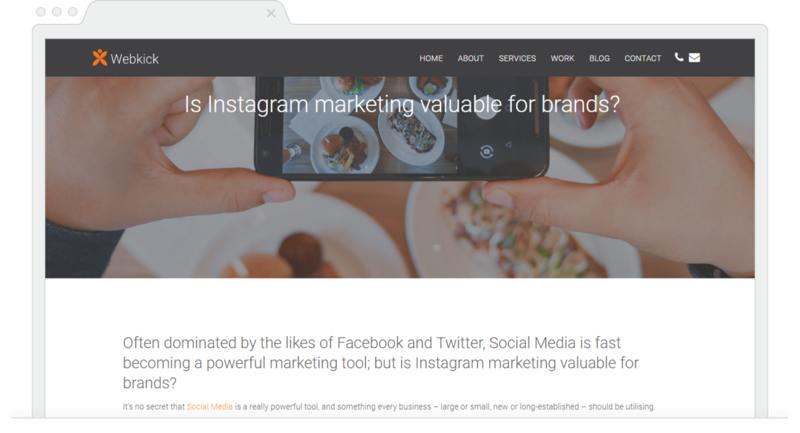 And in their post, the Webkick team dives into the idea of using Instagram for marketing. We loved the simple format of this post. It starts with stats on Instagram as a growing platform. This sets the stage. The post then moves into why Instagram is valuable for businesses moving forward. If you’re a marketer brushing up on new social platforms, this Webkick post is for you. Make sure to check it out and bookmark for future reference. Writing content for a new page? Maybe a blog post? Then read Tom Andrews. We’ve read a ton of Tom Andrews content and love his work. And this copywriting 101 post, he shares an essential lesson when selling a product. The post discusses why you should focus on the benefits of what you’re selling, rather than features. He also tells you when it’s time to shift focus to the features. But you’ll have to read the post to find out. 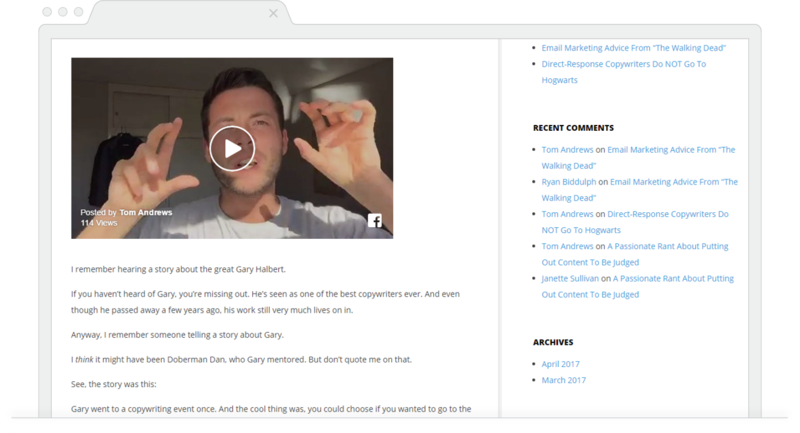 Make sure to check out Tom’s blog and bookmark and follow him for great copywriting tips. And last but not least, a must-read post from Willow Digital. 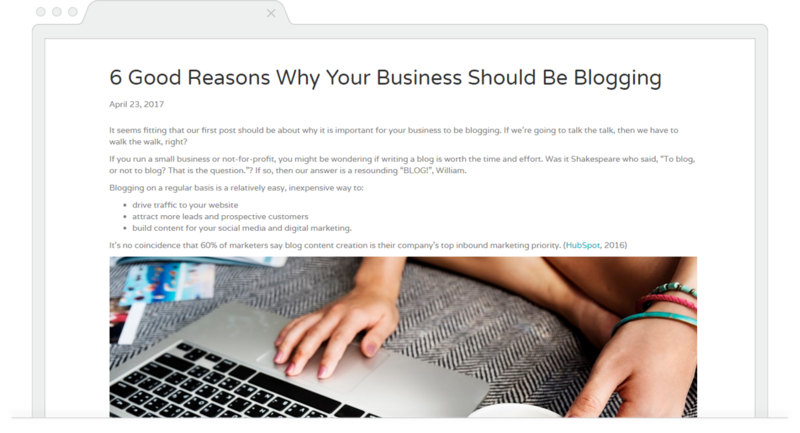 In this post, the Willow Digital team tells you why blogging is essential for businesses today. What’s great about their post is its simplicity. It’s mapped out well with descriptive headers and the content is short and to the point. If you’re a business looking to crack into the blog game, make sure to check out this post from the Willow Digital team. That does it for our May edition of must-read blog posts. Thanks to the featured authors and blogs for sharing their knowledge. And make sure to tune in next month for another batch of must-read posts! Have another must-read posts in May? Make sure to leave them in the comments below.